Dutch builder, primarily known in the UK for coaches, both separate bodies and integrals. They do build buses though, and have even built double-deck service buses for both the UK and Ireland in the past! 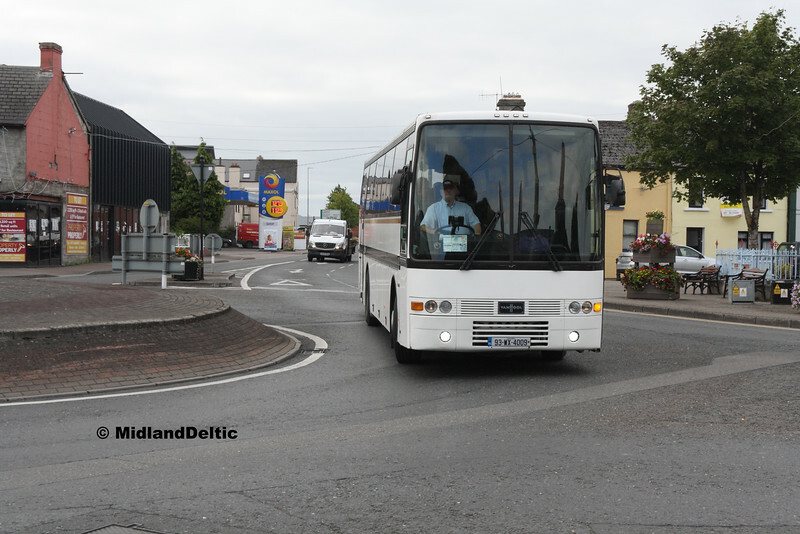 A slightly snatched shot of this 23 year old Volvo B10M / Van Hool Alizeé, looking quite trim depsite its years, as it rounds the clock island in Portlaoise. It was new to Mackie, Alloa, as their K620DMS.